“The Conspirator” opens with a gripping Civil War battle scene and treats us to incredibly imaginative camera angles, shot in sepia tones to time-travel cinematically to the late 1860’s. This is a story that sits underneath a story we all know– the history-book narrative of Abraham Lincoln’s assassination by John Wilkes Booth at the Ford Theater. 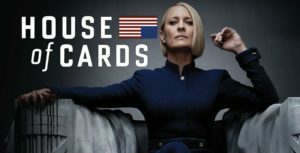 What few of us know is the untold story– of Mary Surratt, (played by Robin Wright), a Southern middle-aged widow who ran the boarding house where Booth and five other conspirators plotted to either kidnap (an important distinction in the movie) or murder not only Abraham Lincoln, but also the vice president (Andrew Johnson), the Secretary of State, and the Secretary of War. Their seditious act was intended to overthrow the government and reinstate the southern states’ hegemony. Frederick Aiken (superbly played by James McAvoy), is a Union soldier recently recovered from near-fatal wounds at the battle of Appomattox. He is given the insurmountable task of defending Mary Surratt, a civilian, in a trial before a military tribunal, instead of in a civil trial before her peers. Aiken’s revulsion at defending Surratt is palpable. His friends and fiancée’s revulsion is even stronger. As her defense attorney, Aiken gradually realizes that a military court is trampling Surratt’s rights in order to draw out her son, John, who has fled the state. The viewer does not know whether Surratt is guilty or not, but the evidence is spuriously argued in what is undoubtedly a kangaroo court, and she is unjustly dealt with. Mary Surratt became the first white female executed under Federal jurisdiction and was photographed in a white hood hanging from a noose alongside her three co-conspirators. This is a tour-de-force courtroom drama with lessons about the U.S. constitution in a time of national fear and war, lessons yet to be learned today. “In times of war, the law falls silent,” one of the military tribunal commissioners, states matter-of-factly. This film is about the unconstitutional acts Americans do when feeling collectively frightened. I was surprised to find so many critics sitting on the fence on this one. The New York Times called it a “well-meaning, misbegotten movie”. Other critics considered the director, Robert Redford’s treatment of Surratt’s trial heavy handed, undoubtedly due to the parallels the viewer draws between the fear and vengeance of the post-Civil War days and the Guantanamo Bay, Abu Ghraib events of our current political situation. The iconic canvas bags worn over the heads of the conspirators in the film cannot but remind the viewer of the grim photos of Abu Ghraib. The porous border between travesties of justice from the past and those of the present seems to have irked some of the critics. Robert Redford, as director, has focused on the tragic deceptions people commit in order to save themselves. He has chosen his cast wisely. 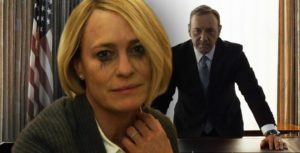 Robin Wright is the vulnerable pallid-faced prisoner, stoic and fiercely loyal to her son and daughter. The actress is virtually unrecognizable, practically silent throughout, but riveting in conveying subtle expressions weighed down by the burden of grief and bewilderment. At the heart of “The Conspirator,” is the interface between fear and injustice, the crushing of human rights. Who really is the conspirator and who is listening?